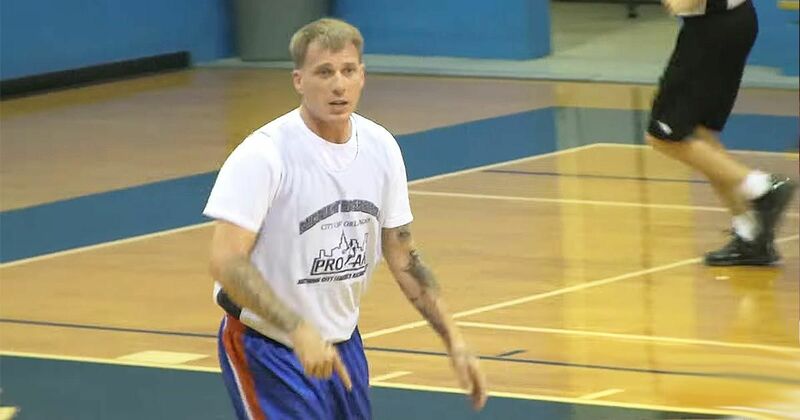 Four years removed from the league, former NBA fan favorite Jason Williams hasn't fully abstained from the game of basketball. While Florida was where his career essentially ended, it has since become the home of a rebirth of sorts for "White Chocolate." Upon his arrival in the league, Williams instantly became one of the most popular players in the NBA due primarily to his ability to handle the ball. A virtuoso passer and dribbler, Williams running the fast break was a sight to behold, especially as a member of the famed "Greatest Show On Court" team. "I got a chance to play with J-Will and God Shammgod (considered by many to be one of the best ball handlers ever)," recalled former Williams teammate Chris Webber, "and I gotta give J-Will the nod" he said on NBA TV. The former NBA Champion with the 2006 Miami Heat squad has since retired for good after a brief return. However, he's still a frequent visitor to the Orlando Pro-Am. Best of all, he hasn't seem to have lost a step. In fact, while it's likely his skills may not be the same as before, Juan Bernal, who coaches Williams in the Orlando Pro-Am believes his mind is as sharp as ever. "For me, I knew Jason loved to play the game and I try to soak up as much knowledge and nuances in the game from him” he said. "I think if he really put his mind into trying to play NBA basketball for a season or half a season on a contender, I really think that he could add a great veteran presence to somebody that's trying to win a championship" he told Home Team Hoops.